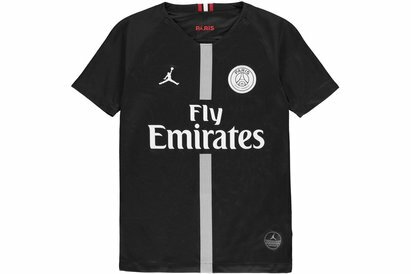 Show you're a fan of Les Parisiens by pulling on this Nike Paris Saint-Germain 17/18 Ladies Home Replica Short Sleeve Football Shirt in the traditional colours of Midnight Navy and White. 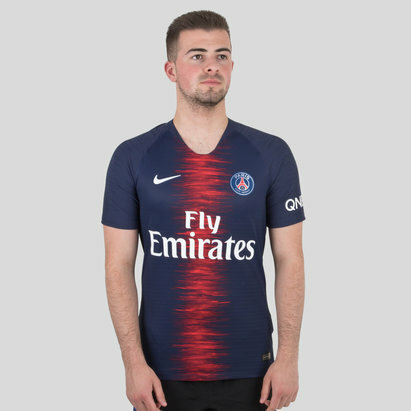 This official replica football shirt of the Ligue 1 side, Paris Saint-Germain comes in the traditional colours of the Parisian side, but with a eyecatching single red line running down the front of the shirt. Made from 100% polyester, the PSG replica home shirt features Nike Dri-Fit technology within the fabric. Designed to help manage body temperature, this keeps both players and fans cool, dry and refreshed by wicking sweat away from the skin. Strips of adaptive fit stretchy ventilated fabric down the sides of the shirt also assist in the cooling effect. 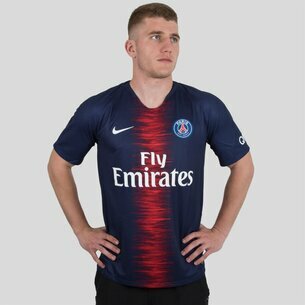 With a white detail around the neck, the red that runs down the front also covers the sleeves, sponsor logos have been heat-pressed onto the shirt while the famous Nike swoosh and PSG crest have been embroidered on the shirt. 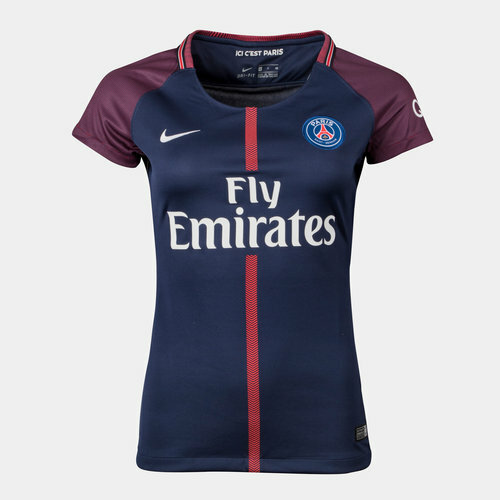 Be as deadly on the field as Cavani when you pull on this Nike Paris Saint-Germain 17/18 Ladies Home Replica S/S Football Shirt.